Each year we come up with new resolutions for wanting to lose weight, join the gym, run, swim or anything else to get into shape. Some of us may actually start off well, but then just stop, others don’t even start at all. Why is that? What can we do to change it so that we stick with those resolutions that we have set ourselves? First off set yourself a new year’s goal and not a resolution. Setting a goal involves a lot more planning and thinking about it. 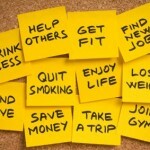 Below is a list of what to do to stick with those new year’s goals and not getting bored of them. This is one of the main reasons why we don’t usually achieve those resolutions, they start to become routine, there isn’t enough variation and we only focus on the one thing and don’t take other aspects into account. When you want to set yourself a goal make sure it’s a SMARTER goal. Make sure that you have a LONG TERM GOAL and lots of shorter goals and mid-range goals that get you to the ultimate long term goal. To be realistic, a goal must represent an objective toward which you are both willing and able to work. A goal can be both high and realistic; you are the only one who can decide just how high your goal should be. But be sure that every goal represents substantial progress. A high goal is frequently easier to reach than a low one because a low goal exerts low motivational force. Your goal is probably realistic if you truly believe that it can be accomplished. To make the goal realistic/ specific it is best to set yourself a time frame, this increases motivation as well. Your goals are not set in stone and will change from time to time. Constant evaluation of your goals is essential to reaching your goals. Factors such as change in family or job responsibilities, or change in available resources or injury may affect your goals that you started with. You may be doing a lot better than expected and you may reach your goal sooner. Once you have evaluated your goals and re-done them continue with the SMARTER goals. It is always important that the goal is enjoyable and has some meaning for you. This will add extra motivation. Remember that if you want to run 10km you DON’T just go running you have to include other activities to be able to for example successfully run the 10km in 50 minutes. If you just go running then you will quickly get bored of it. Also spice up the track, don’t do the same route every time, get friends to go with you, join a running group, these are other things that will help you enjoy the task and will help you stick with it. 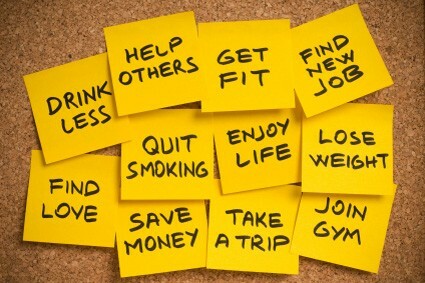 Write down your goals and stick them on the fridge or the mirror somewhere so you look at them every day. Set yourself that LONG TERM goal and then lots of SHORT term and MID-RANGE goals that you want to achieve so that you get to your LONG TERM goal. Whenever you reach a major mile stone reward yourself. Be it with a day at the spa, a small piece of chocolate cake, or new clothes. The goals you set yourself should be fun and should have meaning. Buy something that you feel and look good in so when you hit the gym you have that extra psychological advantage you look amazing, you feel amazing and then it will be more fun working out in that outfit. Write it in your diary as well; make sure you plan time for exercising. Write a list of what rewards you will be giving yourself at some of the major miles stones for reaching your ultimate goal.